This countryâs national security advisor, Sir Vincent Beache, is being paid a monthly salary that is large enough to employ several young persons. Phillips made the pronouncement while voicing her concerns about the unemployment rate among youths in St Vincent and the Grenadines and questioned why 84-year-old Beache is still collecting a salary. âWhat I am concerned about is the youths of St Vincent and the Grenadines and the way they are being treated by this Unity Labour Party government. What I am concerned about is the financial mess that they would be leaving this country in for us to deal with. What I am concerned about is the unemployed youths on the street corner and those at home who still have to depend on mommy and daddy, when Sir Vincent Beache, who should be at home enjoying his retirement, is making enough money per month that can employ four to five young people. 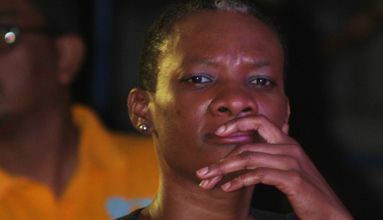 Is it that the Unity Labour Party is telling us that the youths of St Vincent and the Grenadines are not ready by keeping Sir Vincent Beache in the workforce?â she questioned. The radio announcer, while not stating how much Beache earns, was among several speakers who spoke about the unemployment rate in the country and referenced Beache, who in their opinion, should have already retired from the public service. Phillips expressed concern for youths with qualifications ranging from CSEC subjects to Associate degrees, who have to apply at fast food outlets for jobs. She also mentioned young men and women who are without jobs and are being compromised and indulge in criminal activities to support themselves. âHow can one be a prime minister and watch young people unemployed, jobless, without hope, surrendering their manhood, women on the verge of compromise?â she asked. According to the radio announcer, the NDP believes that at least one person in every household should be employed. âI am aware that the Government will not be able to create jobs for all of us, but at least, they should be empowering us by providing the opportunities so that we can fend for ourselves. My youths, do not stifle your conscience,â she said.